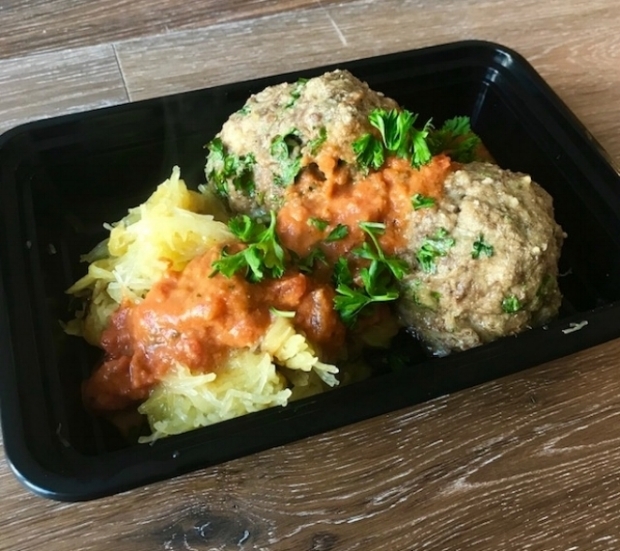 Lean Grass-fed ground beef Italian meatballs with spaghetti squash and a side of house-made marinara sauce. Roasted red bell pepper layered with lean ground turkey, organic sweet corn, organic black beans, organic baby spinach, cilantro, shredded cheese & enchilada sauce with a side of cilantro rice. Leave your email to stay up to date with new menu items and order reminders! Your information is safe with us and will not be shared with any third parties.